After the new year it seems that January is designated the organization month. Many people resolve to get more organized. I don't really make resolutions, but if I did this would be my top resolution. Actually I have been wanting to get more organized lately. In fact tomorrow John and I plan to do some cleaning and organizing. One area we need some help with organizing is toys. Jayden and Evan been blessed with some many things between reviews and gifts we can barely keep up. Neat-Oh is the leading innovator of fun and useful children's storage. Neat-Oh has a complete line of fun, transportable, and collapsible interactive storage products. They unzip to become an activity or play surface and then can be re-zipped to a storage bin. 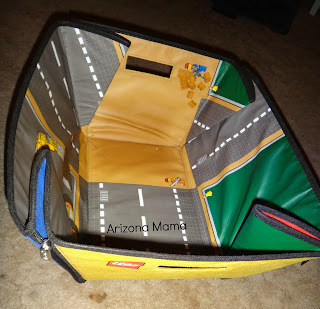 I was recently sent the Lego City ZipBin Storage Basket & Playmat. This ZipBin is different then the Dinosaur Collector Toy Box and Playset that I reviewed back in October. This one does not have a lid. It zips up the corners at an angle making wider at the top. The sides are strong and sturdy. The zippers are also strong and easy to use for little hands. When the bin is zipped up it holds a large number of items. It is Lego brand and perfect for holding Lego's while not in use. When it is unzipped it lays flat for a fun mat to play on with roads and a construction theme. Each side it has cut outs for handles to make it easier to carry. Right after we received this for some reason all of Evan's baby toys were put in it. Jayden said, "baby Evan can have this one for his toys." 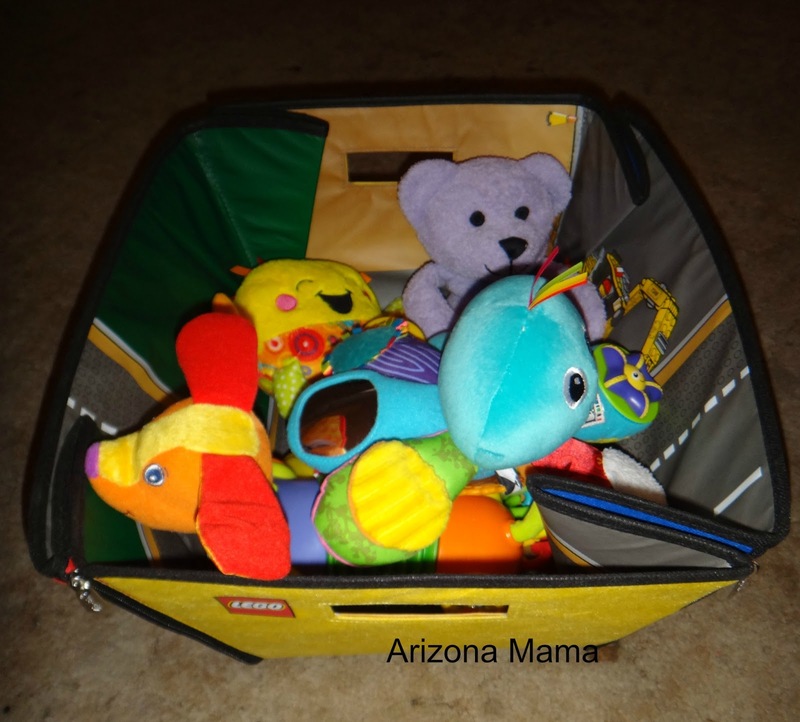 It is perfect for keeping Evan's toys close and organized. I like the open top making it easier for Evan go get his things out. 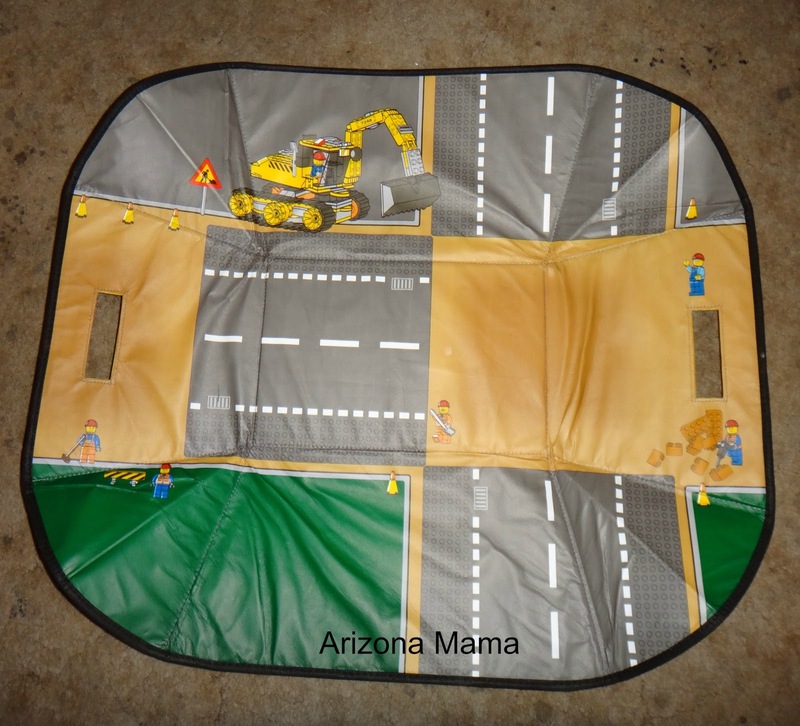 Of course when I pulled it out to take pictures Jayden realized it unzips and there is a playmat. He decided he wanted to play with it now. So it may lose its job with Evan's toys and become something for Jayden. I actually like it now for Evan and as he gets older he would be able to play with it as a playmat also. Neat-Oh has a large selection of great ZipBins for Legos, Barbies, Hot Wheels, and much more. These are a great fun way to organize your children's favorite toys. Thank you to Neat-Oh! for sponsoring this review.